Pendant, floor, table, and wall lights. 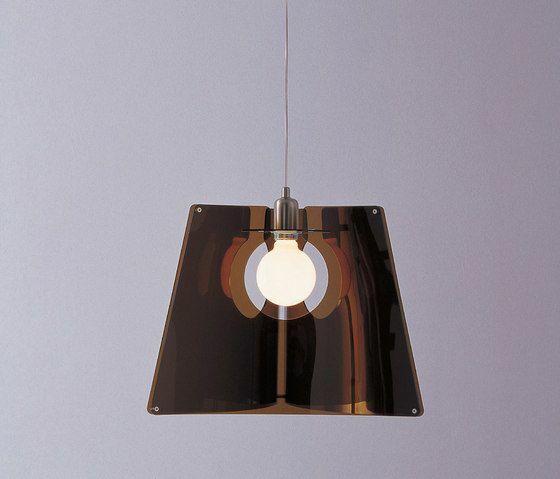 The shades are fabricated of three curved planes of polymer and are available in six colors. The acrylic has a antidust treatment. The metal components are brass with a glazed chrome (steel) finish.